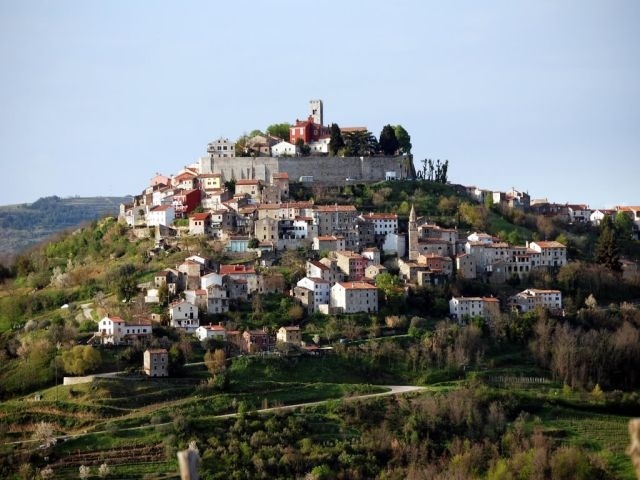 Motovun is a medieval town that grew up on the site of an ancient city called Kastelijer. 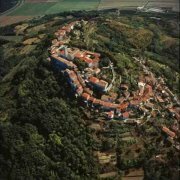 It is situated on a hill 270 metres (886 feet) above sea level with houses scattered all over the hill. 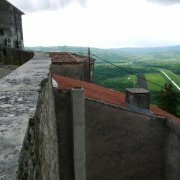 On the inner walls are several coats-of-arms of different Motovun ruling families and two gravestones of Roman inhabitants (dating from the 1st century). 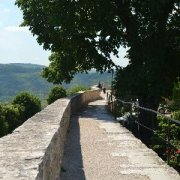 In the 10th and 11th centuries it belonged to the Bishop of Poreč. 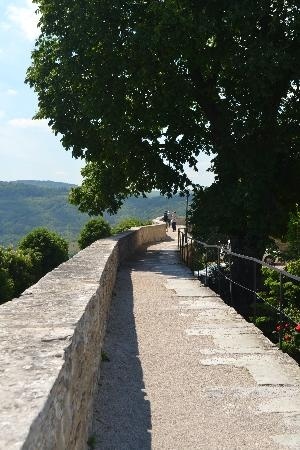 From 1278 it was taken over by Venice and surrounded by solid walls which are still intact today, and used as a walkway with unique views over the four corners of Istria. 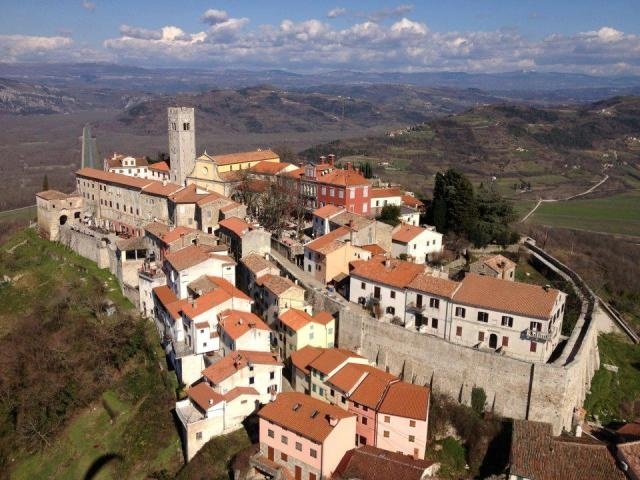 All three parts of the town are connected by a system of internal and external fortifications with towers and city gates containing elements of Romanesque, Gothic and Renaissance styles, built between the 14th and 17th centuries. 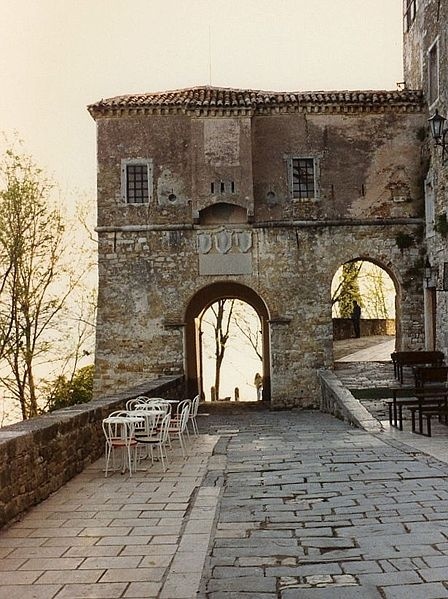 It is a typical example of Venetian colonial architecture. 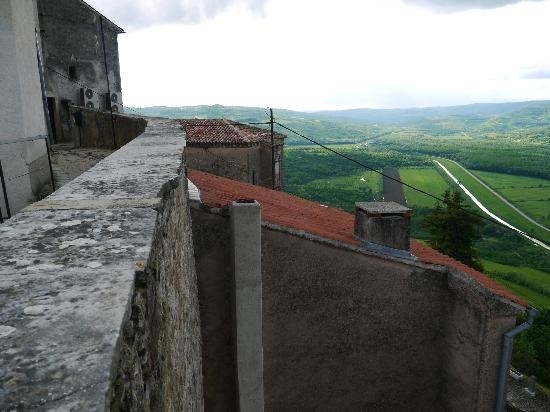 Motovun is a medieval village with an oval ground plan, very well preserved. 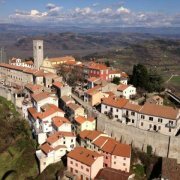 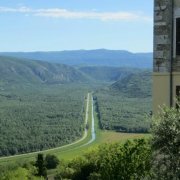 I visited it last summer during the Motovun Film Festival. 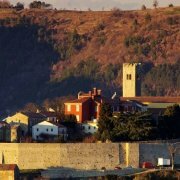 The old town is beautiful, situated on a hill top and protected by the stone walls for centuries. 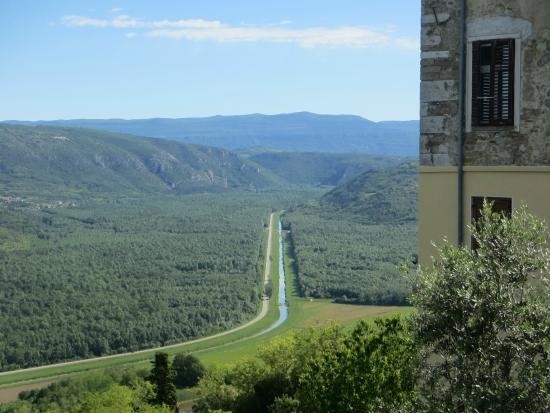 The walls and the old buildings are in great shape, view is breathtaking and you can enjoy local cuisine followed by local vine and truffle specialties. 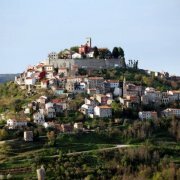 As a reminder of your Istria experience, you can buy local vines and truffles too. 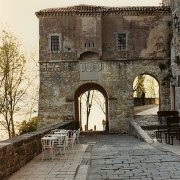 Just one day is more than enough to appreciate this gorgeous town!